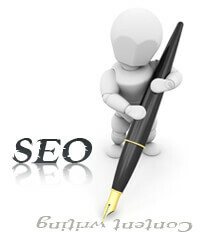 SEO copywriting is a key skill that can unlock the power of your website. Getting a new website up and running is a lot of work but if you fail to generate traffic to your website all your efforts will be in vain. I t’s like having a shop that hardly anybody visits. The shop can look great and have fantastic products inside but if nobody comes round it’s never going to survive. One of the keys to generating traffic is Search engine optimisation (SEO) So, what has the content of your site got to do with the amount of traffic it gets? Well it’s simple really, Google (and the other search engines) want to make sure that they deliver the best results for whatever their users are searching for. In the world of search engines, relevancy is king In the early days of search, keywords and meta tags were what told the search engines what your pages were about. But all that has changed. Today the number one factor that influences where your pages rank is its relevance to the meaning behind the terms people are searching for. Google, and the other providers, are using increasingly sophisticated semantic search algorithms to read everything on your pages and to decide what they are about and then to match it with the exact meaning that the searcher has when he or she types a search phrase into Google. 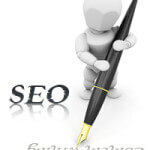 So what has SEO copywriting got to do with me? If you want your pages to rank well on Google you, or whoever writes the words for your website, need to understand and use the power of SEO copywriting. You need to create quality content that is relevant to your target reader, interesting, and easy for them to read. This copy also needs to include, not only the keyword phrases you want it to be found for, but also many of the related words and phrases that the search engines expect to find on a page about your target keyword phrase. So in other words it’s not good enough to rely on copy that relies on simple keyword density.